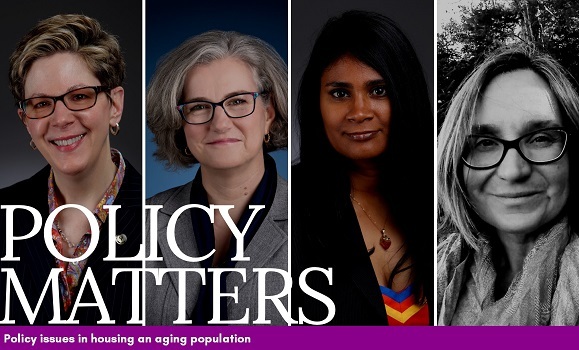 Public housing developments across Canada have been targeted for redevelopment for a complex set of reasons: designed in the 1950s and 1960s through federal-provincial urban renewal funding, their management has been a sore spot for the municipalities in which they are located. Many actually tore apart existing street networks and concentrated the poor in small areas, resulting in more isolated communities that were inward-looking. Most were designed without critical social infrastructure like community centres, schools, shops, and playgrounds so that young people had nothing to do. And most critically, most were sited in inner city neighbourhoods that, in the 1960s, were considered undesirable by the middle and upper class households that were fleeing the city for the suburbs. Now of course, things have changed: most of these communities, like Regent Park in Toronto and Uniacke Square in Halifax, are in central neighbourhoods now considered to be highly desirable. Regent Park is in the middle of a twenty-year multimillion dollar redevelopment that, like many others of its kind, aims to replace only some of its public housing for very low income families. The main thrust of this type of redevelopment is better design (e.g. reinstalling the pre-existing street network, introducing mixed uses such as shops and services) fuelled by income mix: integrating market rate housing with some lower priced units. 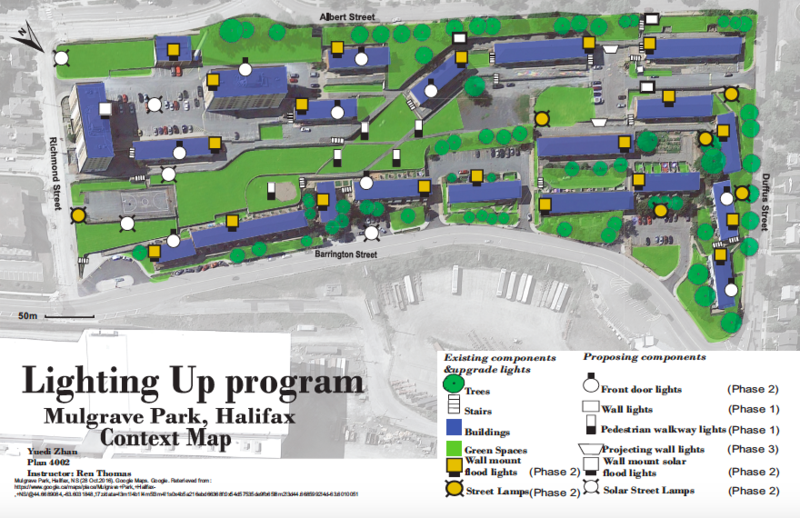 A couple of months back, I introduced my readers to Mulgrave Park, a public housing community in Halifax which was the basis for my fourth year urban design studio this term. Beginning in September, students have been working with the Caring and Learning Centre and the Phoenix Youth Centre to redesign and reprogram some of the social and open spaces in the neighbourhood. I’d like to summarize the work they did as well as my own success in imparting some key policy and planning lessons. Students began individually, working on a historic analysis of the site, then proceeding to an individual design or programming element where they were encouraged to coordinate with each other towards a cohesive set of solutions. For the last four weeks of the term they put their ideas together into a comprehensive set of design/programming recommendations for the community. For their final presentation, they used posters to present their ideas to Crystal John from the Caring and Learning Centre and Maurice James from the Phoenix Youth Centre, and two of their staff members. They answered questions about feasibility, budget, and funding opportunities for their projects, which for the most part the clients really liked. 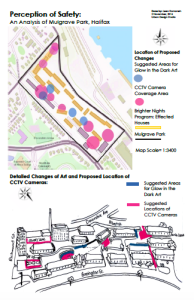 The posters were also left in the Centre so that residents could see them and make comments on them with Post-it notes, with the intent to incorporate comments into their work. At the end of the term, the students submitted a final report to our clients which introduces the site characteristics, the rationale and criteria they used to develop their ideas, and a summary of all the concepts with maps and drawings. One of the most interesting challenges the students had while working on this site was the way its original design, typical of urban renewal projects of the 1960s, eliminated interior streets so that the community ended up becoming quite insular. This, combined with the reputation of public housing residents among the rest of the city, has contributed to both social isolation from the city and a tight-knit community where everyone knows each other. 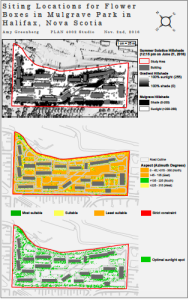 Attempts to reduce this isolation can be detrimental to the community (as has happened in the redesign of many urban renewal projects including Regent Park in Toronto), however planners may feel about correcting the wrongs of the past. Another challenge was the physical characteristic of the site as having a steep slope, rendering much of its plentiful open space unusable. These two aspects in particular were constraints that impacted many of the students’ projects. Students seemed very keen to learn about aspects of housing policy, see the types of redevelopment that are happening in other public housing neighbourhoods like Regent Park, and figure out how their projects could actually be implemented through different types of funding. They struggled with the larger concepts such as social justice and how this is manifested through things like redesign, redevelopment and even simple maintenance of the site. In part this is part of the Millennial trend towards skimming the surface of a topic, without diving in deeply. But another part of this is the conflict between redevelopment and preservation of social networks and social capital. While the design of many public housing neighbourhoods was problematic, in many cases it contributed to tight-knit communities with members who look out for each other, improve their neighbourhoods together, and help generate a strong sense of community pride. City living is in again, and that means rising land costs in inner cities are threatening to displace renters, low-income households, and longtime neighbours who cannot afford the high-end luxury condominiums that are usually the markers of redevelopment projects. When students were asked how they think the course could have been altered, they suggested using a more iterative process to develop their design/programming elements, and beginning to work together on the final report at the same time as their individual designs. These changes would have helped them to create a cohesive whole rather than a package of separate ideas. They felt that their first assignment, the historical analysis, could also have been shortened to allow more time for the design/programming component. We are hoping that the Caring and Learning Centre will be able to slowly implement the small-scale projects, particularly those dealing with children and youth, through grants. 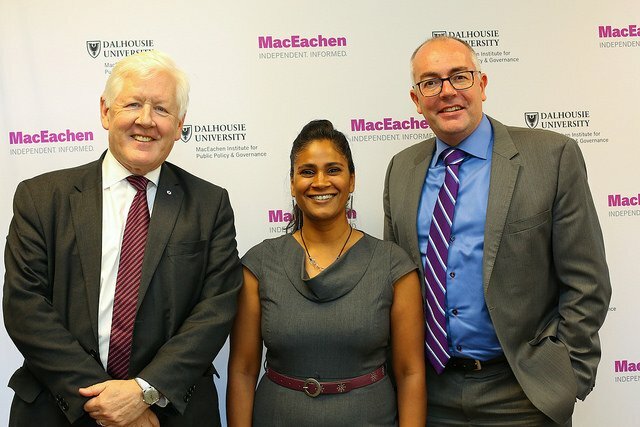 Students were able to find many grants, both local and national, for projects supporting health communities and active lifestyles for children and youth. 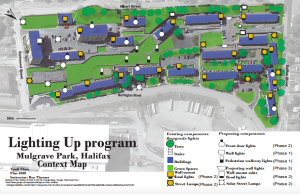 For larger-scale and longer-term projects, we will continue to consult with Housing Nova Scotia, largely due to the fact that one of the students will be doing his internship with the urban design team there. Crystal will also continue to advocate for the longer-term projects to Metro Housing, who report to Housing Nova Scotia. 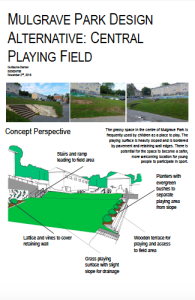 Hopefully this collaboration results in some real change for Mulgrave Park. 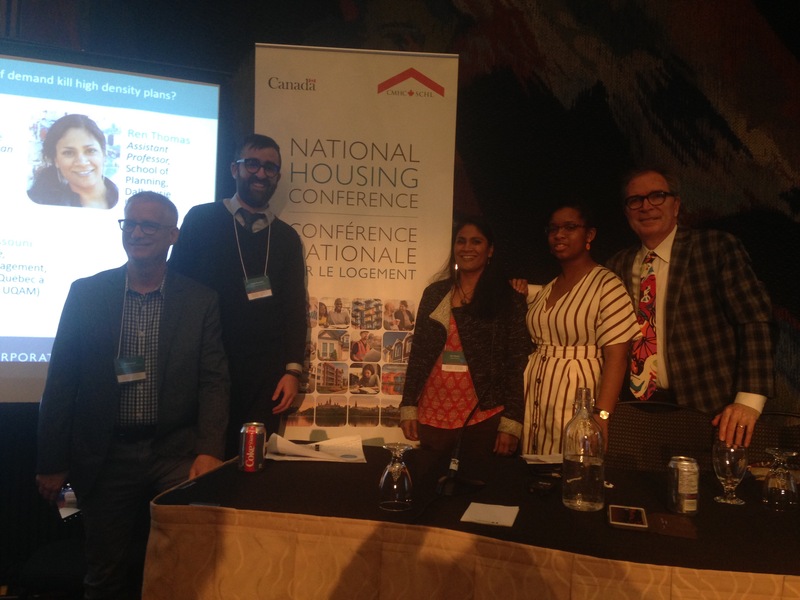 2017 is a great year for Planning Canada!